Bayplay Lodge is the ideal group accommodation, nestled amidst the tea trees on one acre. Gardens in a peaceful setting with a large heated pool. Perfect for family holidays, reunions or social gatherings, special interest groups and school camps! 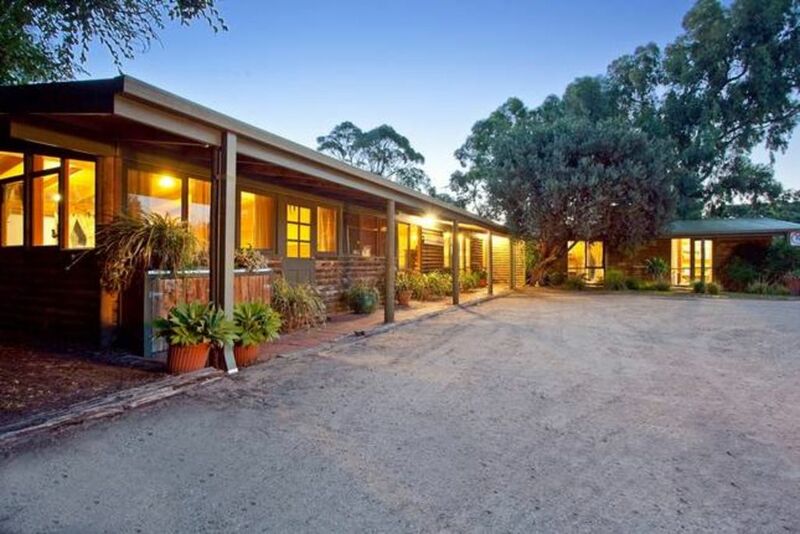 With a warm, relaxed vibe and close to Peninsula attractions: beaches, National Parks, golf courses & the Peninsula Hot Springs - you’ll feel at home in the Bayplay Group Lodge on your next family holiday to Blairgowrie. - 10 bedrooms - 1 Queen bed, 8 double bunks, 9 single bunks, 1 single bed. Fabulous venue for large groups. Great outside area, pool, locality close to shops and beach. Had a very easy and friendly experience dealing with property managers. We stayed here with another family, and absolutely loved it! The owners were easy to deal with, and happy to help in any way. The property was relaxed and very large with everything we needed for a great stay. Will definitely book again. We had a fantastic stay at Bayplay Blairgowrie. So accommodating and everything that we could have asked for in accommodation for our small retreat. Great short walk to the beach and excellent facilities. Heated pool and kitchen/meals dining all in one.